Our Hot Tub party packages all come with a weatherproof gazebo, we also include various items within the gazebo aswell as a lit LED Hot Tub. Our pricing for a weekend hire starts from £120 for just a Hot Tub. At booking stage we take a £50 deposit which is returned at the end of the hire. 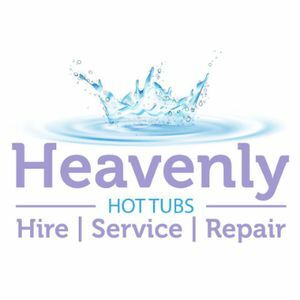 Here at Heavenly Hot Tub Hire we have a range of quality and portable Hot Tubs to hire for all occasions, events regardless of the weather. Providing a truly portable bubble massaging hot tub spa which can seat between 4 to 6 adults comfortably depending on what size you are looking for. You will receive total relaxation with anywhere between 80 and 138 air jets. The key benefit of these portable hot tubs is that they can be situated almost anywhere and are ideal for small gardens with no rear access. Hot tub hire price includes, set-up, chemicals and collection. We are based in Barrhead, Glasgow and aim to provide free delivery within 10 miles of this location. Ideal for special occasions including holiday cottages/lodges, birthday, hen and stag parties or enjoy a quiet romantic/relaxing weekend. Choose from the 6 person Paris or New York Hot Tub.